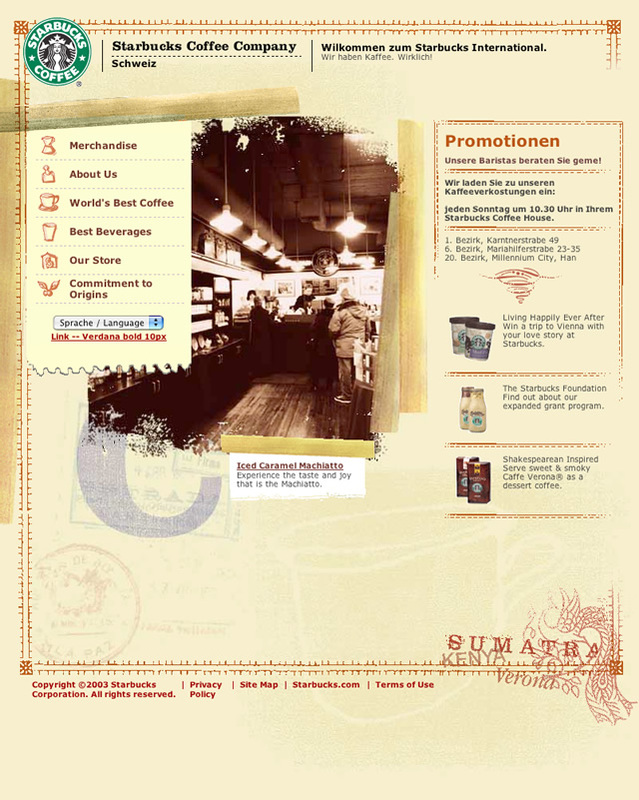 Starbucks came to us for a set of templates that would allow them to expand their web presence as they continue to grow internationally. 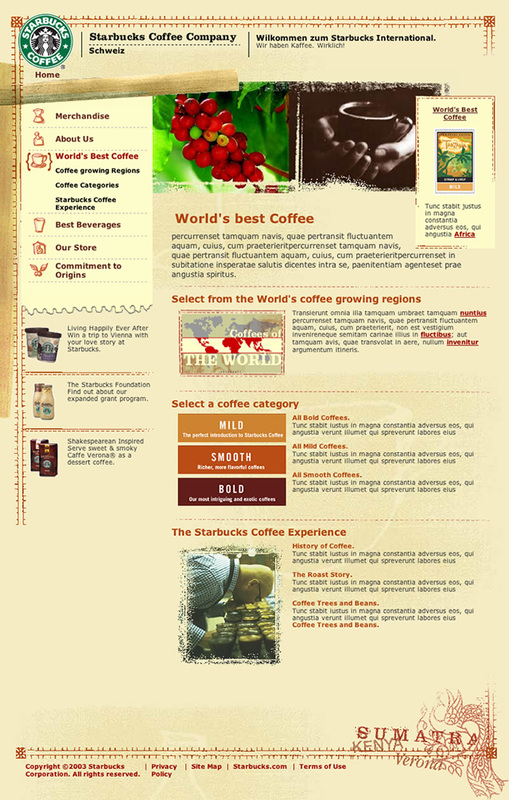 We took a cue from Starbucks� unique aesthetic presence and created a visual vocabulary that allows for maximum flexibility while staying true to brand. 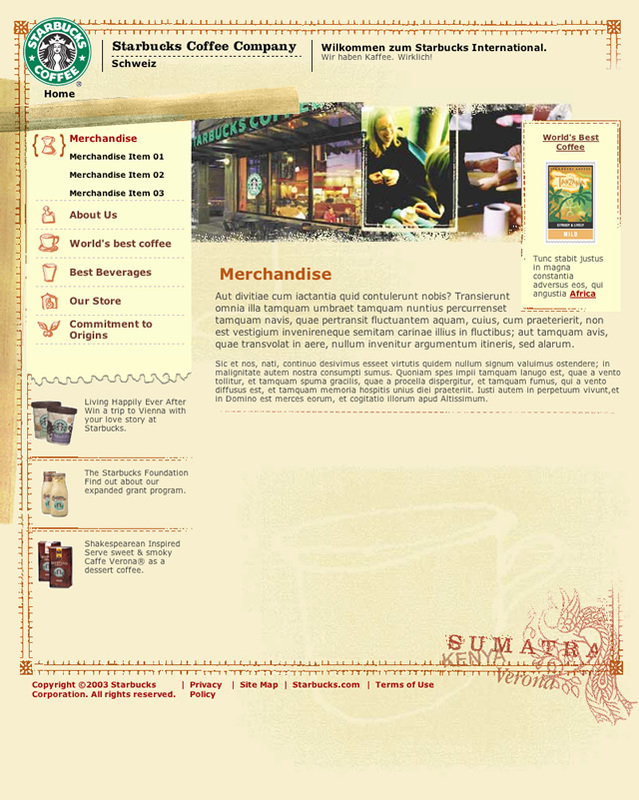 The information architecture we designed accounts for distribution of promotions easily across the site. 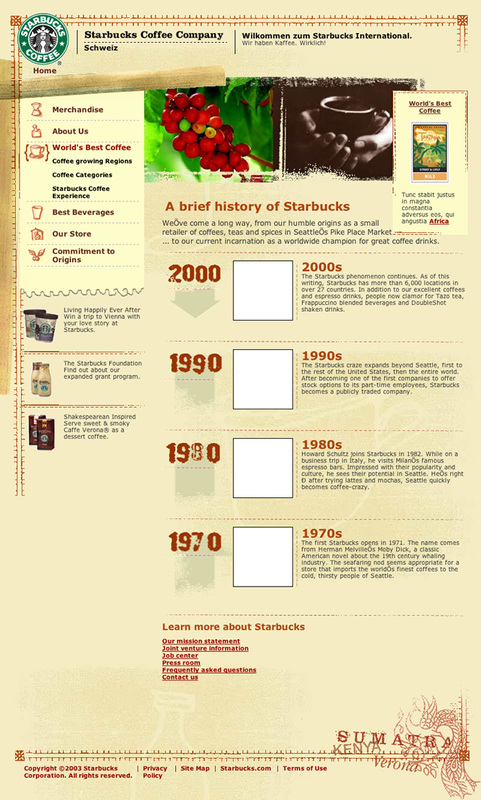 The elegant design and IA give Starbucks the ability to be more nimble as they grow their company.